Size: 6.4" x 4.0" x 2.68"
Nothing else than a EL-8 without rechargable batteries. A small difference could be found on the DC-inlet. 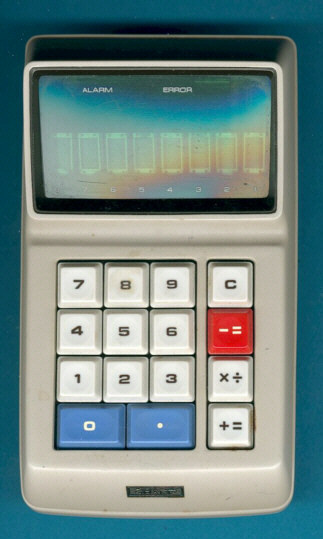 Instead of the three contacts found on the EL-8 this calculator uses four spronges.